Walt Disney is well known for producing some of the top grossing films in animation. Their partnership with Pixar is a very impressive move as they have become not just the leader but a trend setter when it comes to storytelling and modern film making. Earning more than $600 million in worldwide box office is not an easy task but Disney and Pixar seemed to achieve it effortlessly with the super hero flick. A story about a family of super heroes is more than just a family story but also a fun and delightful animation film that everybody loves. “Up” earned more than $730 million worldwide and a host of top accolades from critics. It was considered one of the best films of the year and animation has moved beyond simple entertainment. The story about a dad trying to save his son has earned $860 million worldwide. Set underwater, the amusing interaction of the fishes and other animals were more than enough to entice movie goers. Lion King is probably the most profitable film from Disney and it was released before they collaborated with Pixar. With a budget of only $45 million (nearly 1/3 of the budget for Up) the film earned a whopping $950 million worldwide. The fitting end of a beautiful animation trilogy is also the biggest earner for Disney. With the help of new 3D technology, Toy Story 3 earned $1 billion worldwide. In my opinion the most amazing disney movie is Lion KIng, the way that is presented along with the incredible music make this movie so wonderful. I can watch this movie so many times and never get bored. 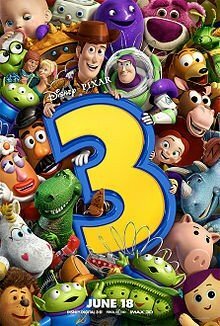 Toy Story was a huge franchise in 1995 and 1997 when the two original films hit the cinemas however Disney really out performed themselves with the 3rd film. Taking $1 billion from a film is amazing even in the year 2011. I believe their social media activity really helped the campaign, inititives such as allowing users to book tickets through the Facebook page must have helped sales. Finding Nemo is THE ANIMATION movie, better than the Shreks and all the others. Every person living on this planet should watch Finding Nemo. The animation is amazing, the plot is interesting and funny and Dory is adorable. It is worth spending around 80 minutes watching it, believe me.